WHITEHALL — A calf was just born Tuesday morning on the Hollister Brothers Farm. John Hollister picked it up and carried it under the afternoon sun to its own hutch, while its mother sauntered up the hill off of Hollister Road to get some dinner with the rest of the cows. Another cow waited in the back barn, her belly sagging with the weight of a baby that Brian Hollister said would probably be born any time now. They’re some of the last generation of calves that will be born under the Hollister Brothers Farm, as John, Brian and David Hollister have all decided to sell the family business. It’s a legacy that has lasted 231 years. 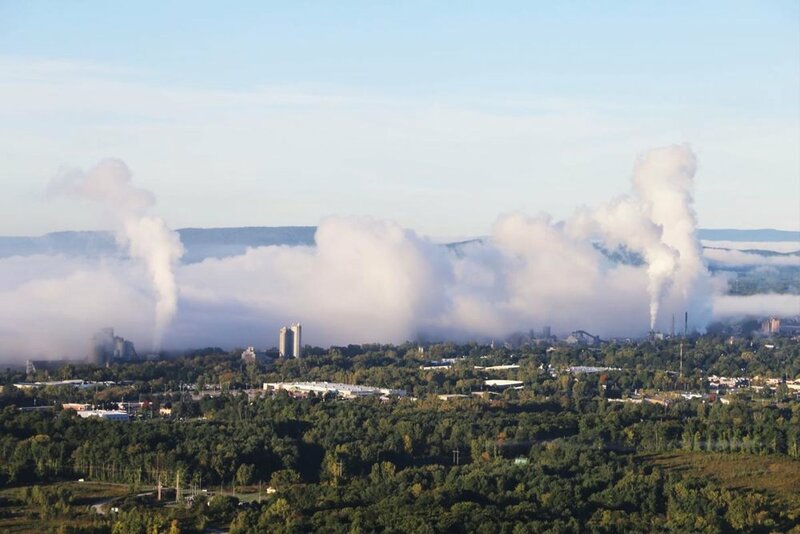 The Glens Falls region has had some complicated residents over the years, neighbors that bring business and an economic boost but also pollution to the air. The home of a federal Superfund site, brownfields and six area facilities releasing toxic chemicals that cause harm to human health, the region has seen its share of problems. Some have gotten used to the towering stacks of industrial plants belching billowing clouds, which company spokespeople will say is just steam. But water vapor attaches to particles, and some of those things going into the air are hazardous, though closely monitored by state and federal agencies. OWASCO — Nicole Catalfano said she wanted to cry. 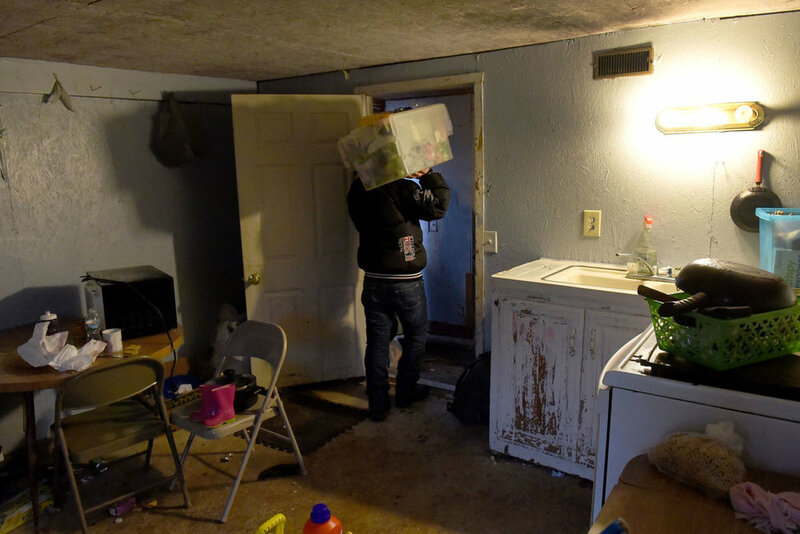 Four adults and five children have been living in squalor on a dairy farm in Owasco since December, and Catalfano helped them pack up their belongings Friday and leave. With temperatures dropping and a light sprinkle falling, young women and children carried out hampers and trash bags filled with food and clothes through the mud and to a van. 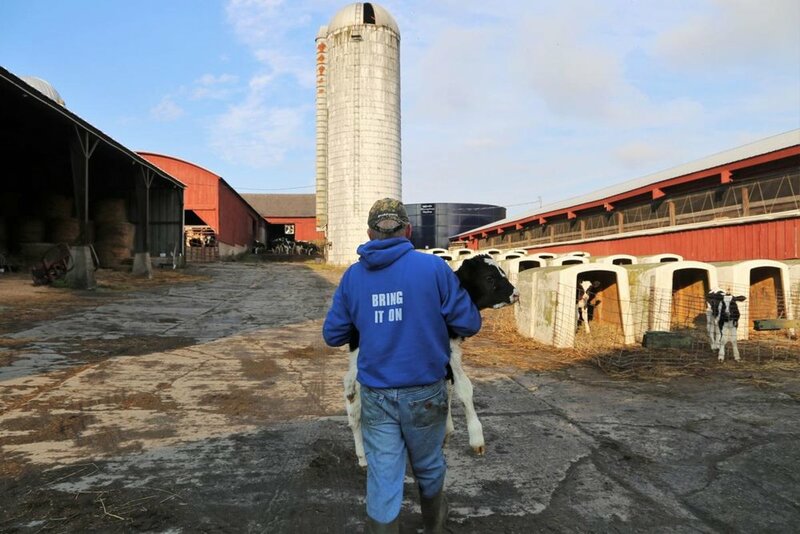 A few baby calves looked out from their hutches at a nearby fenced-in area, while Melrose Farm owner Joe Tidd and his wife looked on, shaking their heads in disbelief. On a windy day in Hilton, New York, four bird banders from Braddock Bay Raptor Research (BBRR) sit in a wooden blind about twice the size of a garden shed, their binoculars poking through slits in the wall. They search the skies for raptors—and though it's not the best weather, they’re in luck. A Sharp-shinned Hawk rides the gale into their sightline. Now comes the tricky part: getting the bird of prey down to the ground. Unlike with songbird banding, where birds fly straight into nets stationed in the woods, raptors need to be coerced into deviating from their path. There needs to be a diversion—and it needs to be live. AUBURN — Sarah Stenuf is far away from Rocket City now. 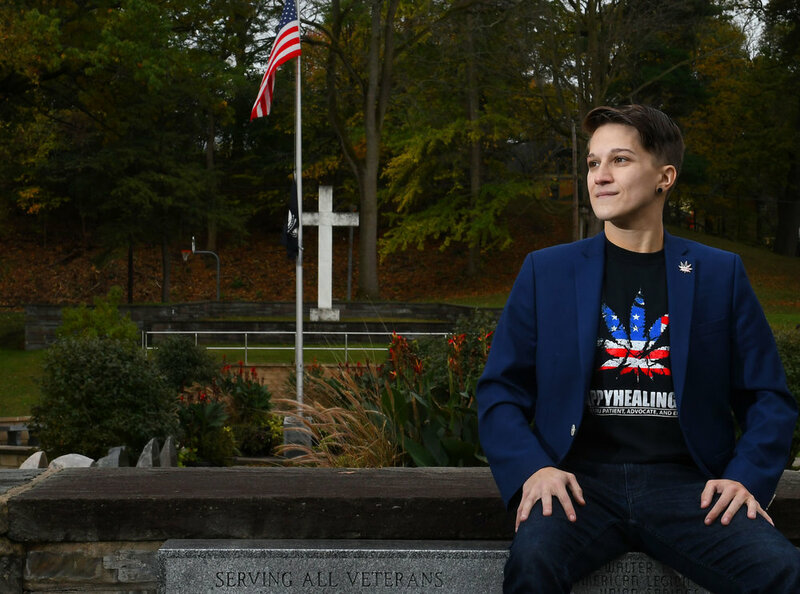 Living in Auburn with her wife, Jennifer, and 3-year-old son, Gracen, the 28-year-old Army veteran is still haunted by her days at Forward Operating Base Salerno in Afghanistan. It was nicknamed "Rocket City," "The City of Lights" and "The Bowl" due to the heavy Taliban fire it received. The base was home for Stenuf in 2010, when she was an Apache attack helicopter crew chief. Accompanied by her family in an interview on Nov. 1, she explained that she was a mechanic, making sure her "bird" was ready for missions. AUBURN — Owasco Lake is pea soup, and so are many other lakes across New York state. 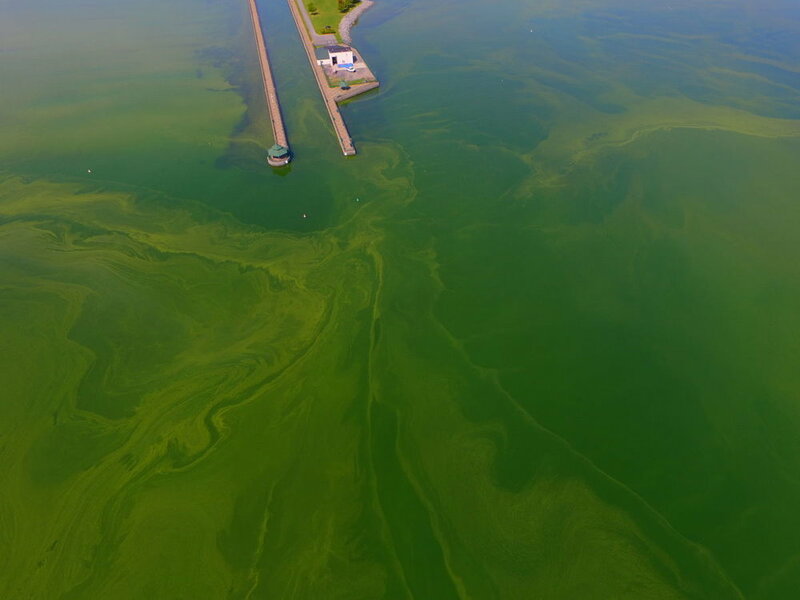 Harmful algal blooms are plaguingSkaneateles and Cayuga lakes, too, and local officials are ramping up efforts to protect drinking water and keep it clean. Drew Snell, watershed specialist with the Owasco Lake Watershed Inspection Program, said he's been inundated with calls about the northern end of Owasco. The program is flying drones and taking photos of the blooms, which Snell said are everywhere. It's a marked change from August, when the cooler, rainy weather showed hardly any algae. Half Acre Union Church in Aurelius was a more than century-old building on West Genesee Street Road, and the place of worship for a congregation of about 70. But Thursday, Nov. 5, 2015, a flame somehow sparked under the church's baptismal font, burning for some time through the solid oak base and eventually crawling up the sanctuary's wall and into the rafters. Just before 10 a.m., the Aurelius Fire Department was the first responding agency to the scene, working to put out the blaze. Firefighters and church members carried some of the pews out the front door, trying to save what they could. Between the damage to the chapel, and the discovery of asbestos in the walls of the back addition, the structure was deemed a total loss. The number of deceased state prison inmates from the late 1800s and early 1900s discovered buried in the backyard of a Fitch Avenue home in Auburn has skyrocketed. After the announcement that four bodies were discovered last summer, the new number is closer to 150 people, and there could be more. "Approximately 150 sets of remains were respectfully removed from their century old graves on Fitch Avenue and during a recent ecumenical ceremony re-buried in the cemetery at Marcy Correctional Facility in Marcy, NY," said Thomas Mailey, spokesperson for the state Department of Corrections and Community Supervision, in an email to The Citizen on Tuesday. Ivy spirals up the front of the red brick farmhouse with the blue doorand horse-head door knocker. There is a small garden in the front lawn, with two stone troughs that now serve as birdbaths, and an old stone sundial to tell the time. But time has stopped here. At the back of the house, the sweet smell of falling leaves and apples perfumes the air, as wasps and bees buzz by, feeding off the fermentingfruits scattered on the orchard floor. The gray barn with the faded red door sits quietly off to the left. Shovels, spades, hoes, a wheel barrow, a rusted red tractor named Lizabelle, empty milk jugs and bottles, gasoline cans, and tools lay abandoned among the dirt and cobwebs inside.